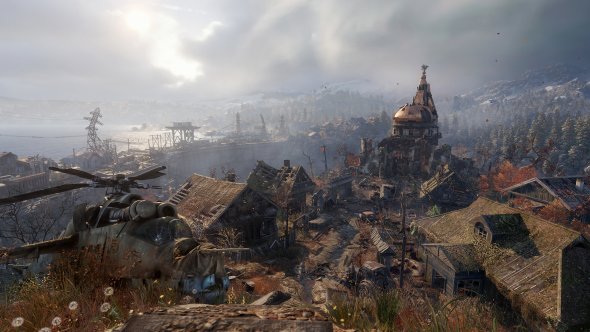 Metro Exodus’ debut trailer found series protagonist Artyom stepping out of the tunnels and into the half-light of post-apocalyptic Russia, before pulling out a map. It felt like a clear signal: Metro is going open-world. Read more: the finest shooters on PC. But that’s not quite the case. Metro will remain a linear first-person story in the strong tradition of Half-Life and BioShock. The idea is ‘Stalker meets Metro’ – a shift back and forth between straightforward segments and vast open areas. These levels will comprise a story campaign that takes place over the course of a year. “It’s not exactly an open-world as you may be thinking, but we’re able to offer the player a lot more freedom than in the past,” Bloch finishes. In short: 4A Games aren’t leaving the metro behind. Tunnels will still be in when Metro Exodus comes out sometime in 2018.